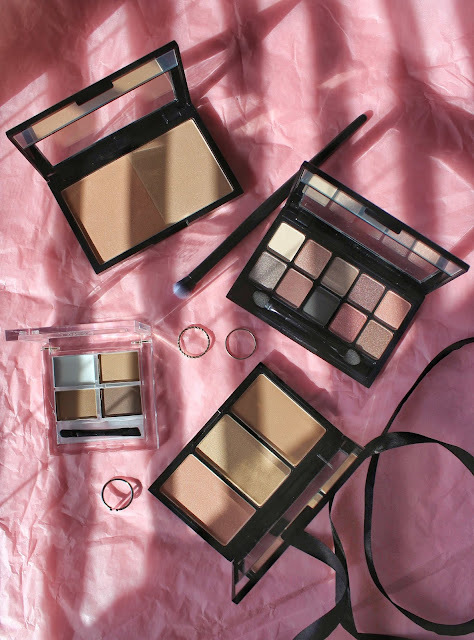 Ulta 3 may not be a brand you've seen or heard much about (unless you're based in Australia then you might have spotted their colourful displays at your local chemist), so I thought I would focus today's post on this trendy, affordable and cruelty-free beauty brand. Now it isn't the most exciting palette to look at (let's be real it's quite cheap-looking), but I have learnt to never judge makeup by its packaging because I have found some absolute beauties over the years! This is a prime example of one of those products because it has blown my socks off with its super smooth powder formula. 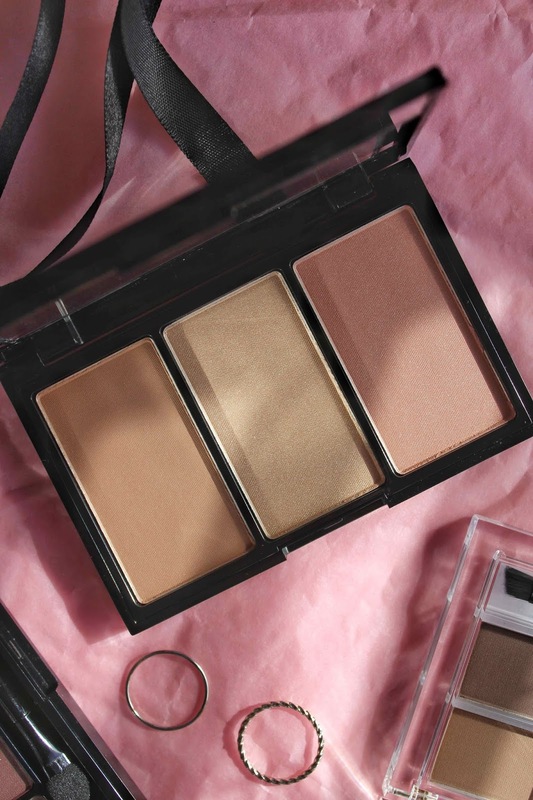 The contour shade isn't overly warm toned or too dark which definitely works in my favour having fair skin, and it blends effortlessly without the patchy finish. The highlighter is a gorgeous pale gold that gives your complexion a warm glow. Lastly, the blush shade which is very subtle so perhaps not suitable for deeper complexions unless you really layer it but for my skin tone it adds a lovely natural flush with a radiant finish. All in all, amazing for the price point. My first impression of this palette was everything about the design and layout of the packaging is very similar to Maybelline's Eyeshadow Palettes. It's a cute little compact in the shade 'Roses' that is filled with pink-toned hues and I really appreciate that they included a matte black as well which is surprisingly intense. 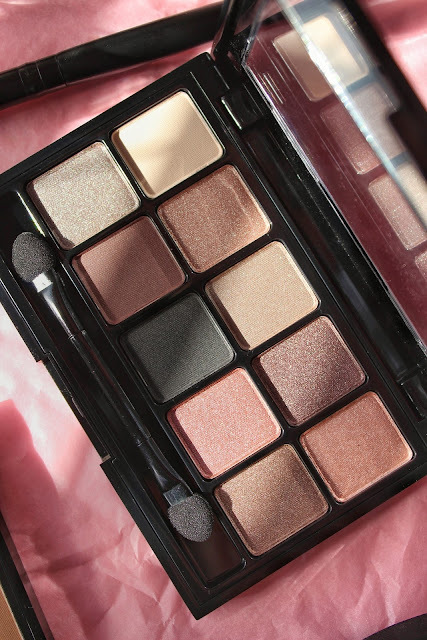 The shimmer shades are pretty and the colour pay off is good (I'd say it's on par with Essence Cosmetics), and you can create lovely looks for day or night. There are a variety of shades to play with and I think it's one of those palettes a novice will get a ton of use out of. A handy kit containing a wax and three warm and cool toned powders that would suit blondes to brunettes perfectly. It does the job well of filling in those sparse areas and achieving a more fuller, defined brow. The only negative is that it doesn't include a spoolie which is a must-have for me to comb through my brow hairs and properly shape them. I personally prefer using brow pencils and brow mascaras but this is a good all-in-one quad to have in your collection, especially if you want to go for that ombré effect, mix a custom shade or change up your brow colour without having to own ten different products. What I like about this bronzer duo is that it isn't highly pigmented so it allows me to have full control over the intensity I desire. 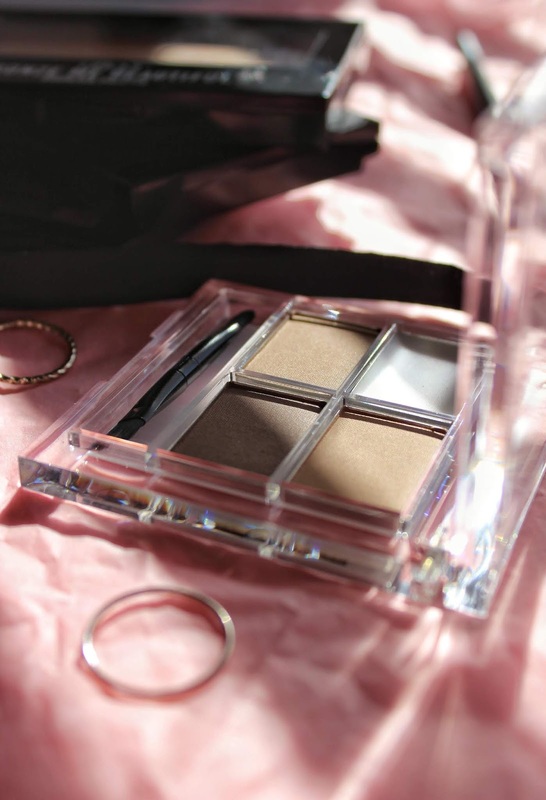 The finish is fairly natural and although both shades look slightly shimmery in the palette, it doesn't appear that way on the skin at all - it just gives you a beautiful sun kissed glow that looks really flattering when the light hits your skin. 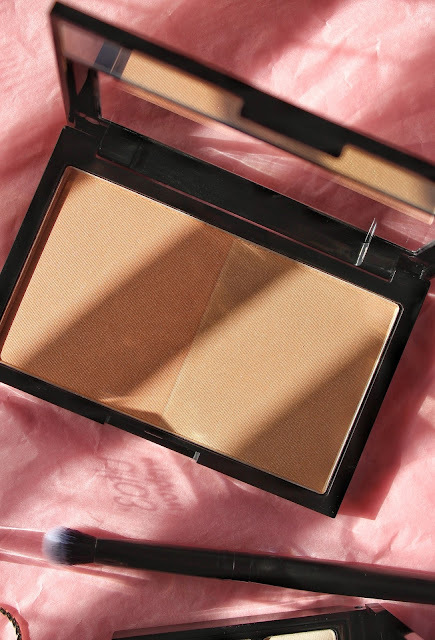 It's a pretty standard drugstore bronzer, but if cheap and effective is what you're after then this will do just fine at warming up your complexion minus the glitter explosion. Have you discovered Ulta 3?